MainAll NewsJewish WorldFast of Tammuz - what is it about? Fast of Tammuz - what is it about? Today marks fast of 17th of Tammuz, 1 of 4 fasts instituted over the destruction of the Temple, when the Romans breached the walls of J'lem. The Jewish people marks on Sunday the fast of Tammuz, the date on which, according to the words of our sages, five of the most difficult events in the history of the Jewish people took place. According to the Mishnah in tractate Ta'anit, on the seventeenth of Tammuz, Moses broke the first tablets of the Ten Commandments when he saw the Golden Calf as he descended from Mount Sinai. On the seventeenth of Tammuz during the first temple period, the priests ceased offering the daily sacrifice. On the seventeenth of Tammuz, Titus, the supreme commander of the Roman army in the land of Israel, breached the walls of Jerusalem. On the seventeenth of Tammuz, Apostumus burned a Torah scroll, and on that date a statue was placed in the Temple in Jerusalem. Because of these events, and their direct influence on Jewish spiritual life, the sages decided to halt routine and institute a fast on this day. Fasting begins at dawn and is defined as a "light fast," one from which pregnant women, nursing women and the sick are exempt. The fast is also the day that opens the “Bein Hameitzarim” period, a period during which Israel took upon itself the customs of mourning and sadness, including the prohibition of receiving a haircut, the prohibition of joy and the prohibition to recite the Shehecheyanu blessing. 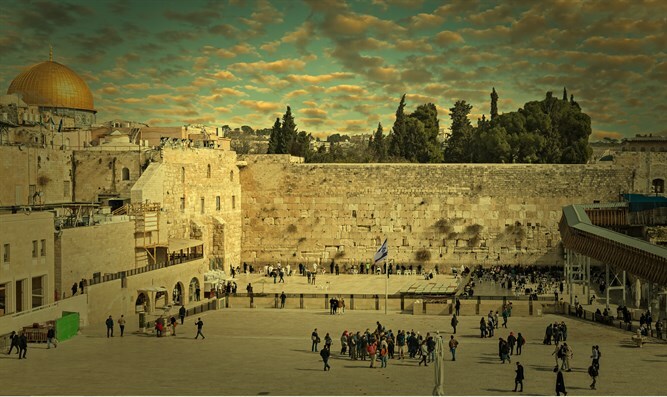 These days culminate with the nine days from Rosh Chodesh Av to the fast of Tisha B'Av.